Subject: CONGRATULATION! YOUR EMAIL ADDRESS HAS WON (US$750,000) FOR AUSTRALIALOTTERY. CONGRATULATION! YOUR EMAIL ADDRESS HAS WON (US$750,000) FOR AUSTRALIALOTTERY. We are delighted to inform you of your prize release on the 22nd of feb. 2008, from the Australian Lotto incorporated program. 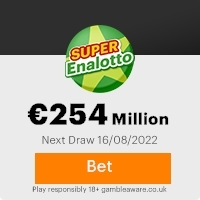 This is a bonus to promote lotto in Australia which is fully based on an electronic selection of winners using their e-mail addresses form Some site. DOLLARS) in cash credit file ref: ILP/HW 47509/09 from the total cash prize shared amongst eight lucky winners in this category. All participant were selected through a computer balloting system drawn form Nine hundred thousand E-mail addresses from Canada,Australia,United States, Asia, Europe, Middle East, Africa and Oceania as part of our international promotions program which is conducted annually. of their social responsibility to the citizens in the communities where they have operational base. To file for your claim. Contact him Monday to Friday. Please quote your reference, batch and winning number which can be found on the top left corner of this notification as well as your full name, address and telephone number to help locate your file easily. For security reasons, we advice all winners to keep this information confidential from the public until your claim is processed and your prize released to you. Note, all winnings MUST be claimed by the 22nd of march 2008; otherwise all funds will be returned as Unclaimed and eventually donated to charity Organizations. Previous: Congratulation Your Ma ... PriseFresh ScamsNext: CONGRATULATIONS ! This Email with the Subject "CONGRATULATION! YOUR EMAIL ADDRESS HAS WON (US$750,000) FOR AUSTRALIALOTTERY." was received in one of Scamdex's honeypot email accounts on Fri, 22 Feb 2008 12:21:16 -0800 and has been classified as a Generic Scam Email. The sender shows as carolsweet101@writesoon.com, although that address was probably spoofed. We recommend that you do not attempt to contact any persons or organizations referenced in this email, as you may expose yourself to scammers and, at the very least, you will be added to their email address lists for spam purposes.